"He's a two-time winner of the the tournament (2010 and 2015) with two further second places and three other top 10s." Conventional wisdom for this-post Masters de-stress says not to back a player who felt the heat of contention at Augusta National. Or, alternatively, to go with a player who didn't even play the year's first major. Jim Furyk is in the latter camp although events at the Masters are actually a key factor in why I like him this week. Furyk, of course, is a contemporary of Tiger Woods, arriving on the scene at a similar time and playing his first Masters just a year before Woods stunned the world of golf with his 12-shot win in 1997. Having watched Tiger act out a fairytale by winning the green jacket on Sunday, it's not a great leap of imagination to think that Furyk may just think that if Tiger can still do it then so can I. 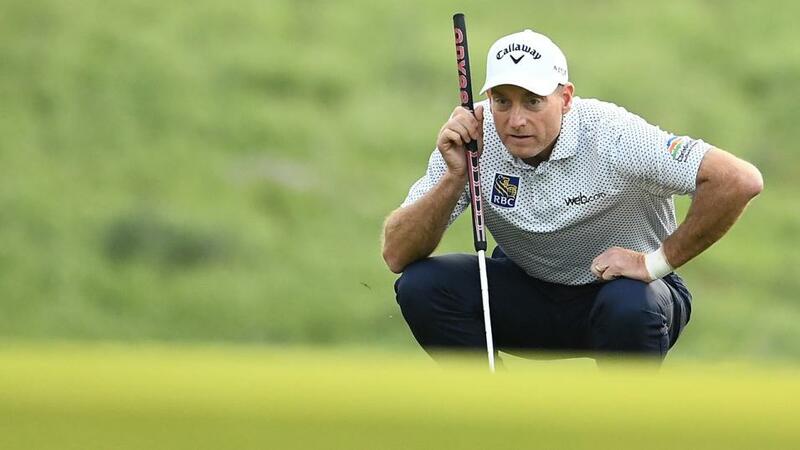 Like Woods, Furyk has acquired battle scars during the many years of battle at the highest level of the game but, as with Woods pre-Augusta, there are signs that he's ready to win again. Furyk was T6 at the Mayakoba at the end of 2018, T14 at Pebble Beach, T9 at the Honda Classic, runner-up at the Players Championship (on a Pete Dry track, as is this week's test) and, most recently, added top 25s at the Valspar and Texas Open. So why this week for a return to the winner's circle? First, the feelings of inspiration after Tiger's Masters win will be at their strongest. Second, Harbour Town Golf Links is an ideal plotter's track on which Furyk can thrive. We already know this as he's a two-time winner of the the tournament (2010 and 2015) with two further second places and three other top 10s. The market is made this week due to a number of top players staying in Georgia after the Masters but some are here for sponsor reasons (Dustin Johnson) and others will be in wind-down or mental let-down mode after the pressures of Augusta National. For example, it's a brave man who backs Francesco Molinari to win this week. This is one of the strongest horses-for-courses events on the PGA Tour and Furyk looks an excellent price to win here for a third time. It may be selective memory but Kevin Kisner always seems to oblige when being backed at these sort of prices in events where there are obvious reasons why he should go well. The American was runner-up on his third visit in 2015, tied 11th in 2017 and tied seventh last year. In those latest two runs, he was third and sixth respectively entering the final round so he really has been a leaderboard regular at Hilton Head over the last four years. He proved his course horse credentials in the recent WGC-Dell Technologies Match Play by winning the event at a venue (Austin CC) where he'd finished runner-up the previous year. And after recharging the batteries, he took T21 at the US Masters - an ideal finish in terms of what we're looking for this week. First, he was never really in contention and, second, a top 20 at Augusta National is a pretty good effort on a course that is too long for him. This week's track is far more suitable and he's a huge fan. Q: I heard you were getting some love today. Do you feel supported when you come to Harbour Town, because it seems like you are one of the favorites for the crowd? Kevin Kisner: "I think I'm getting more support every year. It's great to come back to the home state and get to play here. I love the golf course. I love the area. I spent a lot of time here in my youth so I'm very familiar with it." And from 2017: "It's one of the most special places on Tour for me. I feel confident around this course." Kisner's game is clearly in fine shape and a quick follow-up win is definitely on the cards. There are plenty of other contenders around the 33/1 mark but, when looking around 100s, the one I keep coming back to is Aaron Baddeley. The shortcut to why is that he's a former winner and clearly loves this track. As well as that 2006 win, he was T10 when defending and runner-up in 2008. More recently, the Aussie added T9 in 2016 to make it seven top 25s at Harbour Town. The case builds with some strong recent form. He was second at the Puerto Rico Open, T17 at the Arnold Palmer Invitational and T7 at the Corales Puntacana Resort and Club Championship. True, two of those are 'opposite' events and in weaker fields but there are plenty of good players he's capable of picking off this week due to his course form and the circumstances of it being played after the US Masters. Beyond those course and current form basics, one of the key skills required here is Scrambling as these greens are extremely small and even the best iron players will miss their share. Looking at stat form over an eight-week study period shows Baddeley ranked fourth in the field for Scrambling (70.5%). Speaking at the Valspar, he said: "I'm just super comfortable with where I'm at. I know I'm going to get some starts and I'm not stressed, to be honest. "You see guys who have been out here for lots of years, haven't played well for awhile, they still get starts. So I'm comfortable with where my game's at, I'm working on the right things, my game's obviously in a good spot." Asked why he does well at this course, Baddeley said a number of years ago: "I think it's a combination of being able to shape the ball, and also short game. "You've really got to use your imagination, because you can hit it in the fairways and have a tree in the way. You have to shape your ball around the trees. So it's something I enjoy doing, playing the game and shaping the golf ball." Anything around the 100/1 is very tempting.